Serving Size Winn-dixie Stores, Inc.
A Little Bit Of Everything Trail Mix manufactured by Winn-dixie Stores, Inc. with a suggested serving size of 0.25 cup (30 g) has a total of 130 calories. 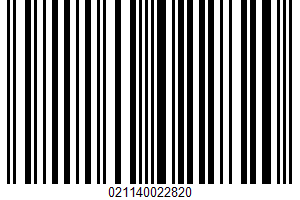 The manufacturer code of A Little Bit Of Everything Trail Mix is UPC: 021140022820. This product is high in sugars. A total of 34.62% of the calories in this serving of A Little Bit Of Everything Trail Mix come from fat. A serving of 0.25 cup (30 g) of a little bit of everything trail mix has 19% of the recommended daily intake of sugars. How long would it take to burn off Winn-dixie Stores, Inc. A Little Bit Of Everything Trail Mix with 130 calories?